Welcome to our two hour plus Open Lines discussion. Please note that before the start of our Open Lines discussion, I explain that I somehow forgot to turn the show on live so live listeners missed the first 33 minutes of the program which included announcements and discussion topic suggestions. For you the archived listener, the 33 minutes is part of the archive so you will hear all of the program. In addition, when I noticed I had forgot to go live on the live broadcast, I quickly summarized the first 33 minutes that were accidentally omitted from the live broadcast. As an archive listener, you will hear the short summary before taking the first call from Michael Listner. Thanks for your understanding with this error on my part. https://www.bloombergquint.com/politics/another-year-another-1-trillion-in-new-debt-for-u-s-to-raise. I summarized the article and talked about the rising debt, increasing interest payments and costs for the US and asked how listeners thought all of this might impact both public and private space. I was hoping for a discussion about this but such a discussion, while it did take place, was short and limited during our program. Our first caller was noted space attorney and frequent guest, Michael Listner. Michael discussed many topics including what was going on regarding the I.N.F. Treaty with Russia. Michael talked about the excessive politicization of just about every topic these days. Missile defense came up plus listener Ben sent an email for Michael. Ben talked about intercept missiles, the boost stage, weaponizing space and asking for the legal definition of a space weapon. Michael engaged in the discussion on all the points raised by Ben in his email. This was a good call so do listen to all of the Michael Listner comments for this show. In a continuation of the same discussion, we heard from Rick who brought up the THAAD missile defense system. Rick posted his question/comment on the blog but in the end, he was asking if the THAAD was a space weapon? What do you think? Do you agree with what Michael said? Dr. Doug called next to tell us that he thought the concern about the Chinese space program was overblown. He said he had heard the Dr. Goswami discussion and simply did not see China as problem re their space program. Listen to what Doug said and let us know by posting on the blog if you agree with him. I did not agree with him as I am more in line with the concerns expressed by Dr. Goswami, existing Chinese behavior in the three spots in the areas mentioned by Dr. Goswami and others. Doug then shifted his comments about what type of culture, laws, etc. we want on the Moon and here, Doug and I were in agreement as he preferred freedom over totalitarian systems. Don't miss all of what Doug said on this point. Our next caller was Kim from Mexico. She had much to say regarding the call and comments offered up by Doug regarding China's space policy. Kim also mentioned the possibility of China developing a nuclear rocket which would clearly give them advantages. She pointed that it might be easier for China to build such a rocket than a western country due to the opposition that would form in most western nations. Kim then brought up my earlier show comments about the economy and the national debt, interest payments, etc. She pointed out correctly that it is very hard to forecast events and nations change and evolve all the time. So will our economy. What do you think about the increasing national debt and our corresponding interest payments. Is it now or will it be a problem? Are my concerns overblown in your opinion? Before hanging up, Kim updated us on her work with Moonwards (see www.moonwards.com). As we were coming to the end of our discussion, Ft. Worth John called to talk about space weapons and to clarify some of the points discussed by Michael and others. He also called the INF treaty obsolete and thought that both the US and Russia wanted out of it. John said he followed the treaty issues closely so he had much to say about it, nuclear systems, even space weapons. Don't miss his comments. John then directed us to a 37 minute video he found and posted on our blog from the early 1950s with Wernher von Bran talking about space including space stations, a Moon rocket, and more. Watch the video, again it is on our blog. Let us know what you think about it what he said and wanted. Before John hung up, he got an email from Jack asking for his thoughts on the new History Channel series Blue Book. John talked about Blue Book, the artistic license being taken by the History Channel writers, real Blue Book historical events and more. Since I've also been watching the program, I said it was a dramatization of some of the Blue Book facts spun into stories for the History Channel and television. Despite that, I am enjoying the series as was Ft. Worth John. Please post your comments/questions on TSS blog for this show. Again, I apologize in screwing up the first 33 minutes of the program for the live listeners and for the roughly 5 minute summary that I left in the recording though archive listeners did not miss out on early show comments. 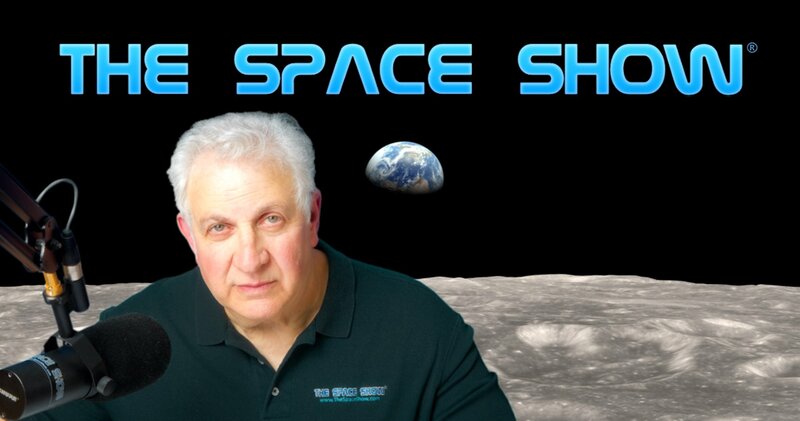 If you want to get in touch with any of the callers or emails from today's program, please contact me at drspace AT thespaceshow DOT COM.